There’s no doubt that the cost of living has risen drastically from the generations before us. Unfortunately, one such area that’s heavily increased in cost is food. As a society we’re told to eat whole, real foods to stay healthy as opposed to opting for processed or fast foods. While many strive to do just that, it’s difficult when the processed foods stand to be so much cheaper. Moreover, spending too much at the grocery store is all too easy thanks to enticing advertisements and end caps that often cause the shopper to purchase items you otherwise might not have. Groceries don’t have to take up a large portion of your budget, like most aspects of life there are always ways to save. One surefire way to save money on your groceries is by completing the simple task of making a list. While it might seem unnecessary to some, a list can more beneficial than you know. Here are seven ways you can save on groceries all with the help of a list. If you’ve ever gone to the grocery store hungry, you probably purchased everything that looked good, more than you needed, and items that aren’t exactly good for you. In turn, you no doubt spent more than you might have. Going into the grocery store without a list is kind of like shopping on an empty stomach. Instead of, or in addition to, the things you truly need you’ll simply purchase whatever looks good no matter the cost. When you shop with a list, however, you’re more likely to stay on track. You’ll only purchase the necessities and sometimes completely avoiding aisles that could be tempting. You’ll save money by simply preventing the unnecessary. One of the biggest keys to saving money with your grocery list is knowing what you already have. If you don’t keep track your ingredients or their amounts, you could end up purchasing excess or on the fly. Depending on the item, purchasing too much of something could cause much of it to go to waste, ergo wasting money. Furthermore, if you’re forced to run out and grab an item from the store because you didn’t realize you were out, you could miss out on coupons, savings, and the ability to find the best price. Having an updated inventory list can help supplement your grocery list and keep your budget on track. After a long day at work, coming home only to sift through cookbooks and recipes is the last thing you want to do. That being the case, sans a plan you’re much more likely to opt for take out. While the occasional take out won’t cost you, regular eating out will build a hefty bill. Having a steady grocery list and meal plan will help save you time and money. Instead of purchasing random ingredients, organize your list around your meal plan. You’ll purchase ingredients that can stretch over multiple dishes meaning you’ll purchase less overall. While a weekly grocery list is necessary, a monthly one can be just as important. Track and keep a monthly list of staple items you use frequently each month. Items like canned goods, dry foods, and paper products can be bought in bulk without going to waste. By keeping a longer monthly list of these items, you can find coupons, great deals, and save money by purchasing your supply all at once. There’s no doubt certain items that are simply cheaper or on sale at certain stores. Knowing the best places to buy each item on your list can help you save money on otherwise expensive ingredients. While you shouldn’t necessarily spend a large amount on gas driving around, if you know you can save by hitting two stores, then base your list off just that. Organize your list in sections or with varying colors to note which items should be purchased where. Organizing by store could save you from having to pay higher prices at other stores. Without a list you might not necessarily think about everything you’re purchasing before doing so. In most cases, the more inexpensive ingredients tend to be what’s in season. After all, what’s in season is usually in more abundance. When making your list do your best to consider what’s in season buy planning meals around those ingredients. Make a list of seasonal produce, buy in bulk, and make an array of seasonal recipes you can eat over the weeks and freeze. Not only will the seasonal produce be on sale, but you’ll save money by creating a variety of meals in larger batches. Unfortunately, some items simply come at a higher cost. Thankfully, most stores offer the occasional sales and coupons for said items. When making your grocery list keep a list or make note of items on sale. Instead of building your list only around your recipe, make an effort to build it around what you can purchase cheaper. Furthermore, by noting sale prices next to certain items, should you visit multiple stores, you can ensure you’re getting the best deal possible on some of those more expensive ingredients like meat and produce. Groceries seem to cost more and more everyday. Unfortunately that often applies most to the ingredients and items we need most or that are merely healthiest for us. Nonetheless, you don’t have to opt for processed or fast foods to keep your food budget on the lower end. In fact, you might find that opting to cook at home will save you more in the end. That being said, one of the keys to grocery shopping wisely is creating a tried and true list. 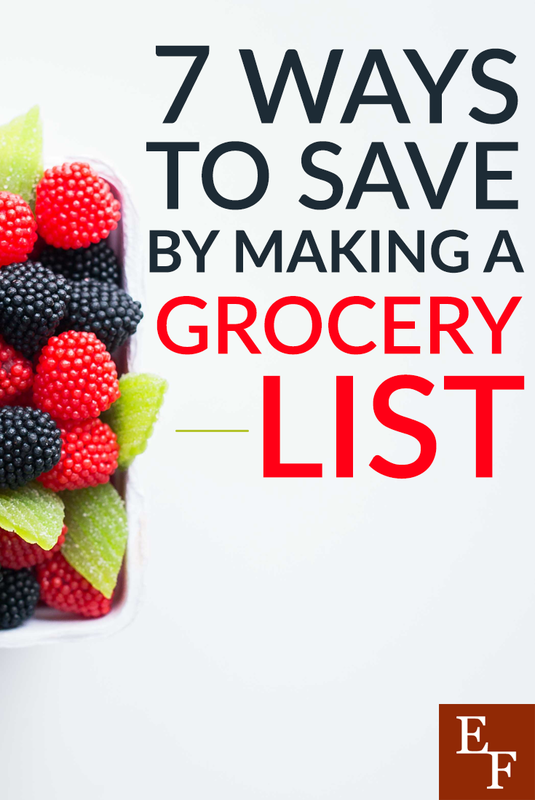 By keeping a list, you can plan around cost and keep your grocery budget in check. Do you shop at multiple stores and find better prices? What are some items you’ve saved on by buying in bulk?